I wrote about Tate Kobang's great new mixtape Crown Of Thorns for the Baltimore City Paper's Noise blog. 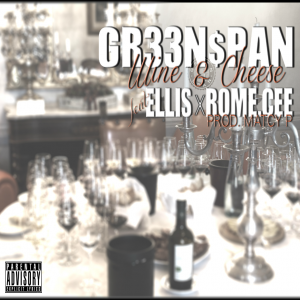 I recently began contributing to the Washington, D.C. radio station WAMU 88.5's site Bandwidth, and this week I posted "Wine & Cheese," a great new song by the Baltimore rappers Greenspan, Ellis and Rome Cee. I also recently profiled Greenspan and Ellis for the Baltimore City Paper. I posted on the City Paper's Noise blog about #Letspushthebutton, a new mixtape featuring Ogun, Los, Starrz and a ton of other Baltimore rappers. In this week's Baltimore City Paper, I wrote a Rap Sheet column (about D. King, J Who? Worldwise, E-Dubble, Bink Baghdad and more) and The Short List.